There are no fees or charges for employers to use the platform. Recruiters simply pay a small percentage of their agreed fee on successful placements – well below the cost of usual business development and cold calling. 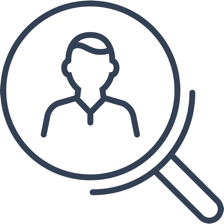 Please complete the following fields, and a member of the Sourcr Team will be in contact with you as soon as possible to demonstrate how Sourcr can help you Hire Better People. Faster.